Having rejected the idea a couple of years ago, it seems the Cyprus government is now considering a NAMA style ‘Bad Bank’ in efforts to help resolve the non-performing loans issue. AS WE reported in 2012, one of the proposals in the draft Memorandum of Understanding (MoU) at that time was the establishment of an “Asset Management Company” (AMC) or ‘bad bank’. A ‘ bad bank’ is a bank set up to purchase bad loans from financial institutions with non-performing assets. By selling its bad assets, the financial institution clears its balance sheet of toxic debts and enables it to focus on its core business of lending. The bad bank focuses its attention on maximizing the return from the high risk assets it has purchased. 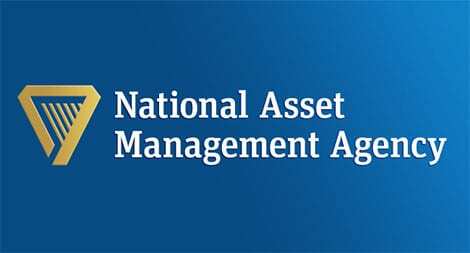 The most notable bad bank in the EU is NAMA (National Asset Management Agency), which was set up by the Irish government 2009. Its aim was to address serious problems that hit the country’s banking sector as the result of excessive property lending. NAMA acquired land and development and loans with a nominal value of €74 billion and was funded by the government. However, the Cyprus government didn’t and still doesn’t have the financial resources to set up a bad bank and purchase non-performing assets. But the government has not rejected the idea of a bad bank completely. Until such time as every bank in the western world acknowledges all of it’s dodgy practices and reckless lending – there will be no change. Until such time as government has more power than the banks they are attempting to ‘regulate’ (LOL) – there will be no change. Cyprus can manage it. Anywhere can manage it – you’ve just got to want the change. And there lies the problem. You only have to look at the daft PR stunts and hollow & stale rhetoric being thrown about in the run up to the May 7th elections in the UK to see how hard it is for some to acknowledge the REAL change needed. How true, Janine! Cyprus could do with some really good banks. Let’s see what we’ve got to offer: HSBC? No. RBS? No. Co-op? No. Sorry, it seems most are corrupt to some degree and have been heavily fined by regulating authorities like the FCA for fixing the LIBOR rate or mis-selling insurance or other malpractices. There are plenty of bad banks in Cyprus already! Rather than set up another bad bank, set up a proper land registry (with minimal admin fees, no taxes) to at least record the rightful owners of land and property. Restructured loans have to be affordable, and that means writing off any amount above the current value of the property. Then we can all move on. We do not need another bad bank! !